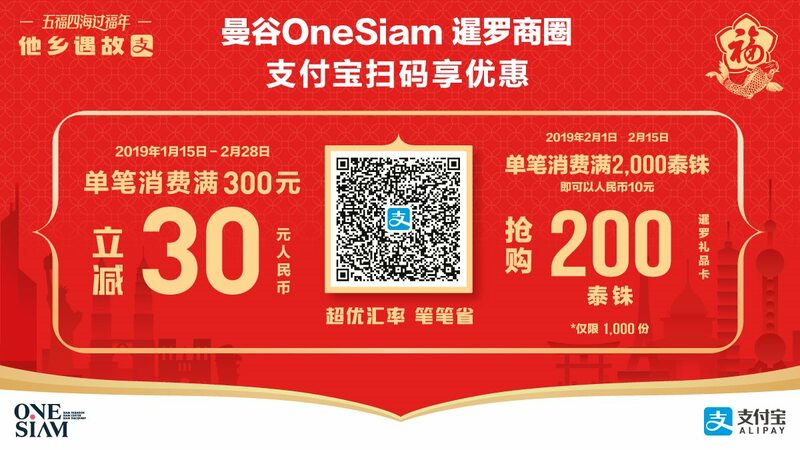 SPECIAL REWARDS FOR SPECIAL CUSTOMERS THIS CHINESE NEW YEAR! 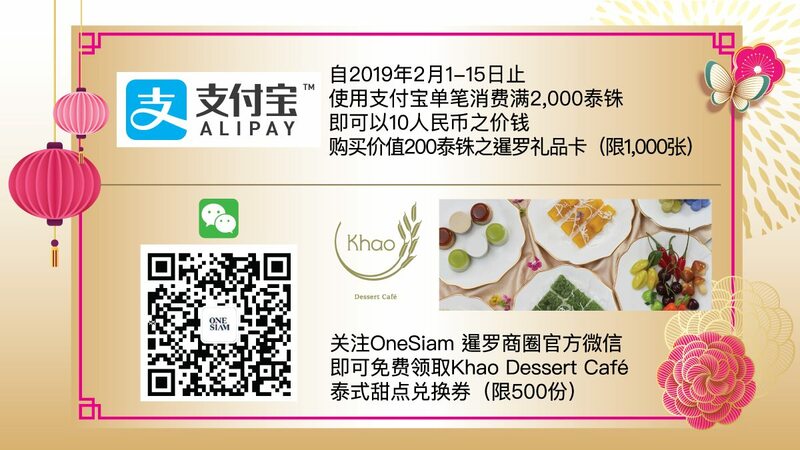 This Chinese New Year, the use of Alipay and WeChat comes with its perks. Check out what we have in store this time of the year! 1. Khao Dessert Café voucher is limited to 500 pieces (1 voucher/person). 2. 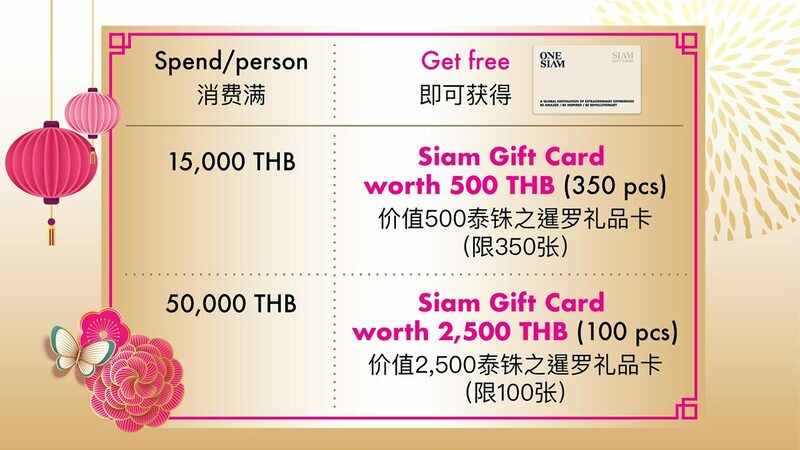 Siam Gift Card worth 500 THB is limited to 350 pieces (1 card/person). 3. Siam Gift Card worth 2,500 THB is limited to 100 pieces (1 card/person). 4. Siam Gift Card worth 200 THB is limited to 1,000 pieces (1 card/person). Customers must purchase through Alipay only. 5. Receipts can be combined from any shops in Siam Paragon, Siam Center, and Siam Discovery; including SEALIFE Bangkok, Madame Tussauds, and KidZania (except Paragon Department Store and Gourmet Market). Alipay campaign cannot combine receipts. 6. Receipts must be issued on the same date as redemption date. 7. This campaign is exclusively for international customers.